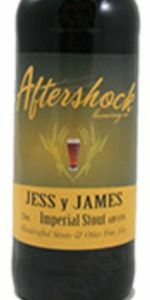 Home Beers Aftershock Brewing Co.
Jess Y James | Aftershock Brewing Co.
A colossal stout with strong roasted notes and hints of baker's cocoa. Such a beer has been found. By you. Congratulations on picking a very viscous libation to please your taste buds. A rich lingering finish on your palate that you won't soon forget. From: Brody’s Burgers & Beer in Jamul, Calif. Specifically went to this place for the first time to try this beer. After all, I’m a fan of Jesse James (the cowboy, not that car guy) and I’ve always wanted to try Aftershock beer. Have some high hopes on this one. Appearance - Huge khaki head atop a black body. Swirling makes it bigger. Never dies down. Smell - Really roasty. Dark fruits. Like a cherry aroma. Chocolate. Taste - Roasty as hell. That cherry flavor is back. Pushes the boundaries of tart. Something is off here. Mouthfeel - Overcarbonated. Kinda tart. Doesn't feel heavy as a result of the carbonation. Overall - Something must be wrong here. It's got a mild weirdness. Very dark in the wine glass with a beige head. Not bad carbonation and suds appeal. Fairly thick mouthfeel, but not sticky. Fruity, chocolatey aroma. Fairly sweet on the tongue with loads of dark malt. Less charred than some big stouts, but heavy on the burnt sugar. Roasted pears and cocoa. Winey and chalky at the same time. Eventually the bitterness emerges and stays fairly boldy to the end. Strong bitter chocolate taste with a hint of that cheap plasticky cherry candy. This tastes remarkably like Aftershock's Espresso Stout. From the 22 oz bottle bought at Barons Marketplace on Point Loma Blvd. All four of the beers I've seen have the yellow wax dip. On tap at Aftershock Brewing Company in Temecula, CA. 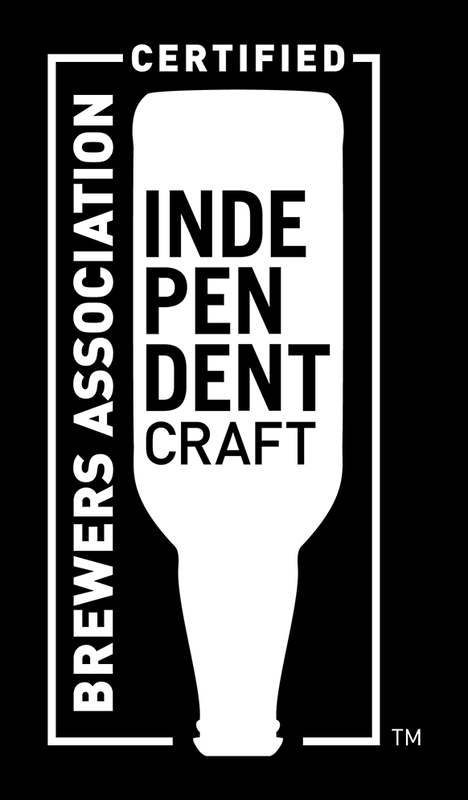 Pours an opaque black with a foamy dark khaki head that settles to wisp of film on top of the beer. Small dots of lace form around the glass on the drink down. Smell is of dark roasted malt, cocoa, and alcohol aromas. Taste is much the same with cocoa flavors on the finish. There is a mild amount of roasty bitterness on the palate with each sip. This beer has a low level of carbonation with an almost flat and medium bodied mouthfeel. Overall, this is a pretty good beer with some solid aromas and flavors. 2016 on tap at the brewery. Very roasty, but watery at the same time. Falls short on a lot of flavors. Probably wouldn't revisit this brew. Lacking a lot. slight roast, acidic fruit nose with sour dark cherry taste not bad but this isn't an "imperial American stout"
maybe QC a bit more and forget the wax. I'll give it another chance in the future preferably on tap. Pours opaque black with a half-inch tan head that remains as a ring on top and leaves strings of lace. Lots of cocoa aroma and flavor with a distinct bitter hop finish. Opaque with a two finger khaki head that left dots and streaks of lacing. Some roasty choco on the nose. Not a lot, but it's there. More on the palate with a hint of molasses and dried cherries. Low carbonation. Almost creamy mouthfeel. Dry, slightly bitter cocoa finish. The label is different and no wax dip, so maybe they worked on the recipe? That's a good thing. Jess Y James from Aftershock Brewing Co.